HEVC (H.265) vs. AVC (H.264) - What’s the Difference? This post talks about the differences in H.265 and H.264 video compression. It's part of our series on video encoders. We’ve all been there. We’ve been watching an online video, movie, or a sporting event when the screen suddenly freezes up, or the quality is not what it previously was. No matter what you’re watching, this abrupt loss of quality is incredibly frustrating. Recent technology known as H.265 (also called HEVC - High Efficiency Video Coding) has emerged to combat this issue. In this post, we compare H.265 to its predecessor, H.264, and explore what H.265 means for your live broadcasts. H.264 (also called AVC - Advanced Video Coding) is an industry standard for video compression that allows for the recording, compression, and distribution of digital video content. It works by processing frames of video using a block-oriented, motion-compensation-based video compression standard. Those units are called macroblocks. Macroblocks (see image below) typically consist of 16x16 pixel samples, that can be subdivided into transform blocks, and may be further subdivided into what are known as prediction blocks. In addition to the larger CTU sizes, HEVC also has better motion compensation and spatial prediction than AVC does. This means that HEVC requires more advanced hardware, such as the BoxCaster Pro, to be able to compress the data. Fortunately, however, it also means that viewers with H.265 compatible devices will require less bandwidth and processing power to decompress that data and watch a high quality stream. This also enables the streaming of 4K video over common network speeds. Because H.265 compresses your data so much more efficiently, using it as your video compression tool will drop your bandwidth and storage requirements by roughly 50%. The table below compares the recommended bandwidth for H.264 vs. H.265 encoding. Where Does BoxCast Come In? 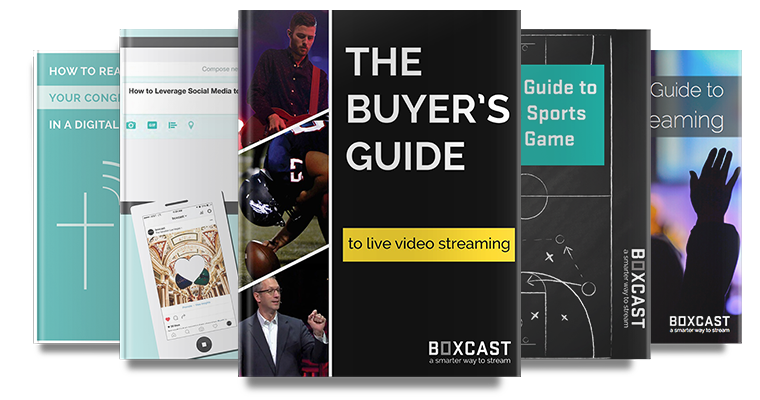 BoxCast has been following the movement in the industry closely and constantly strives to be at the forefront of any changes. With our release of the BoxCaster Pro, we allow broadcasters to incorporate HEVC compression on their streams that are capable of up to 4K! And in staying true to our belief that every event that is watched live should be streamed live, we’re making this affordable to our customers. HDMI vs. SDI Video Connections - What's the Difference? What's the difference between various SDI Signals?